I love Chinese food, love love love it. Thing is, it's not always cheap or convenient for me to go out and find some, so I try to make it at home, and though a lot of these dishes are good, I still don't think you can ever quite replicate it. Another recipe from the old cookbooks I have laying around. Combine brown sugar, cornstarch and ginger in a medium bowl; mix well. Stir in vinegar, soy sauce and water. Cut chicken into bite-size pieces. Heat oil in a large skillet over high heat. 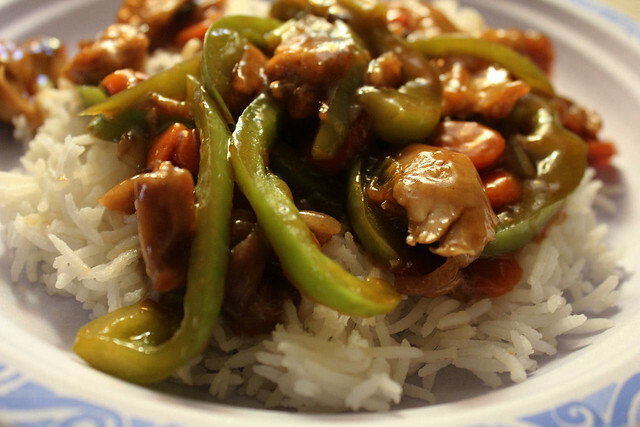 Add chicken; stir-fry for 8 minutes or until chicken is cooked through. 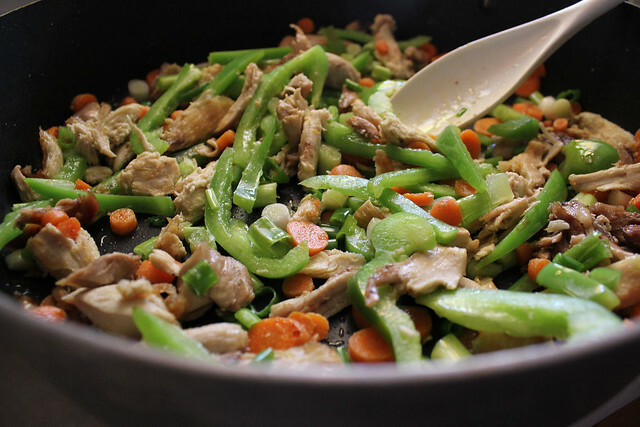 Add peppers, carrots and green onions; stir-fry until crisp, about 2 minutes. Add brown sugar mixture to skillet; stir. Cover; reduce heat. Cook, basting occasionally, until sauce is thickened, about 20 minutes. Spoon chicken and vegetables onto a serving platter. yum yum yum!! Thanks for the recipe! 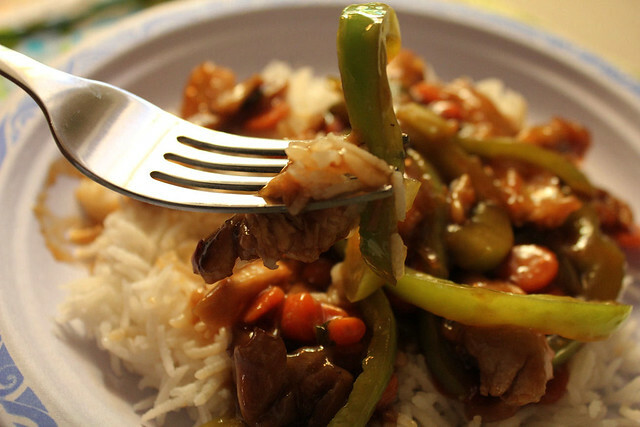 I actually was trying to get creative with a Chinese type dish..failed :( Can't wait to try this for everyone! This looks and sounds so good! Easy too. :) Thanks for sharing. Thid looks amazing! Will def be trying this when my dad is in town next week. Thanks! !